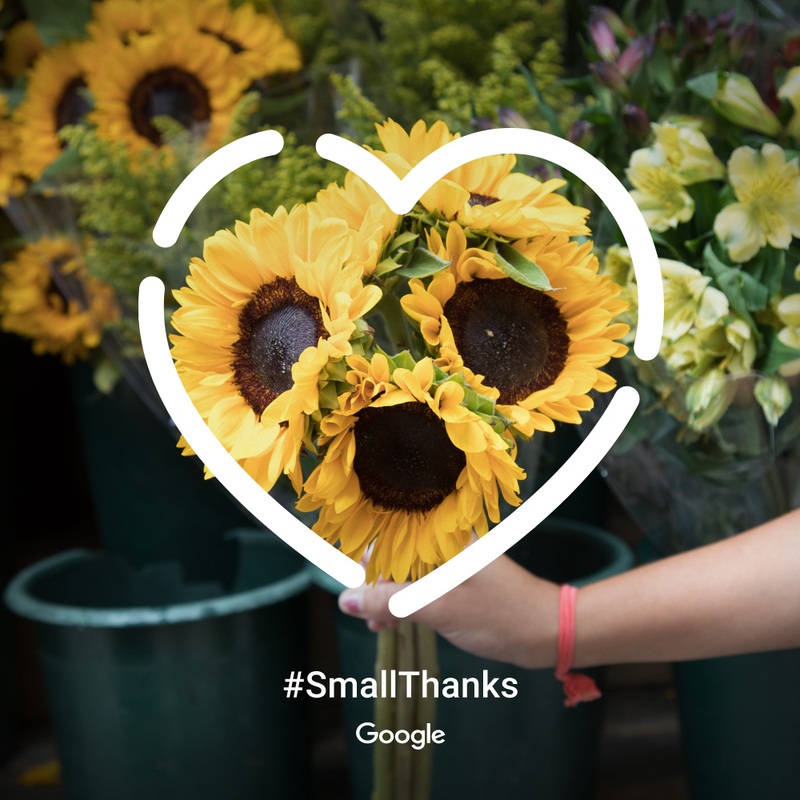 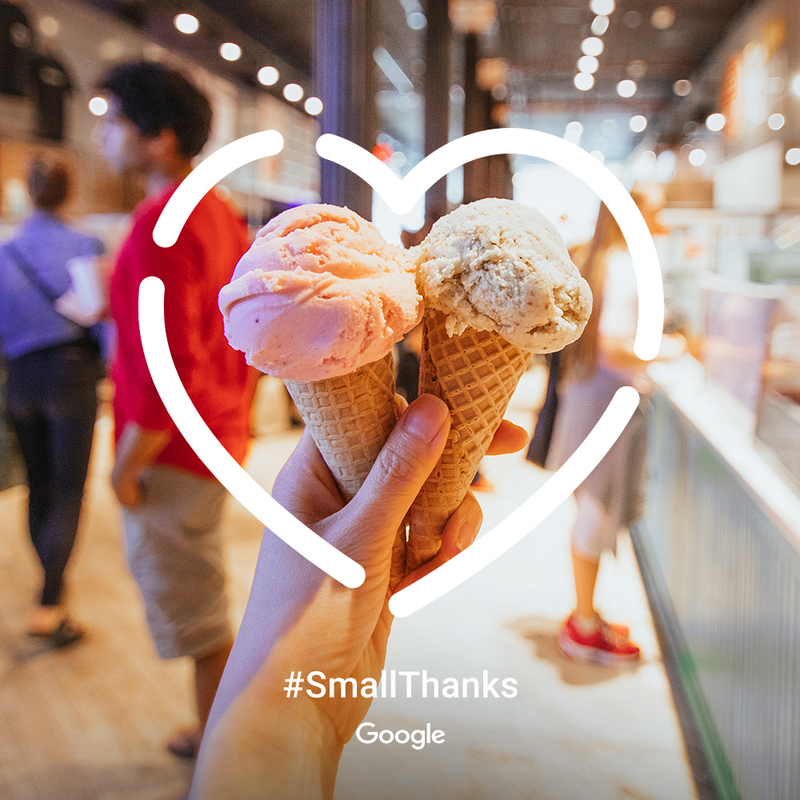 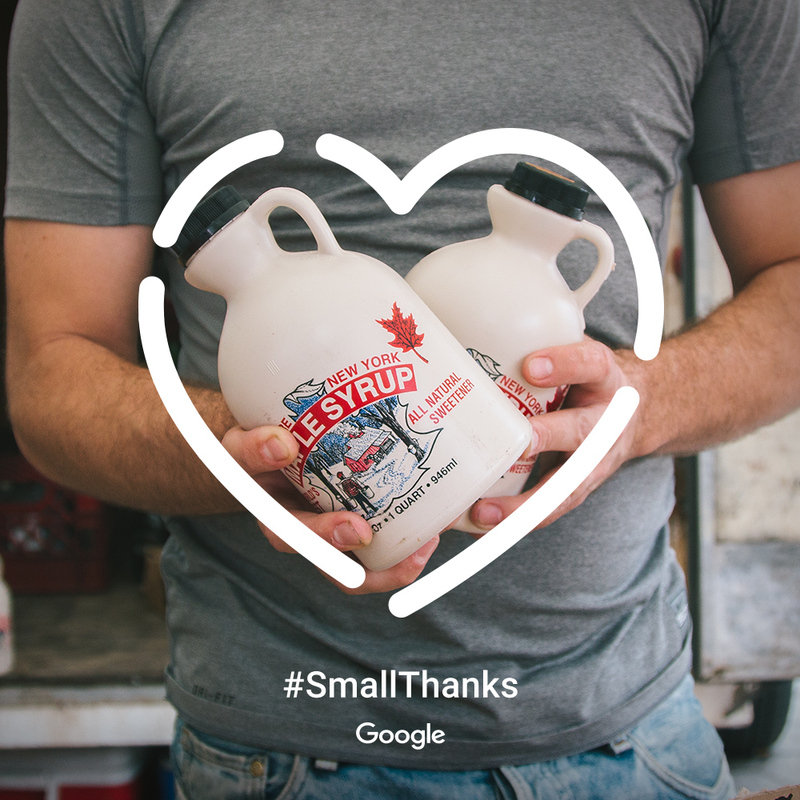 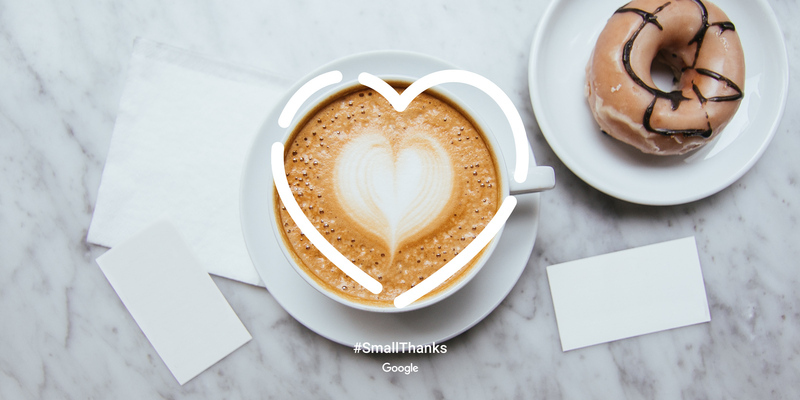 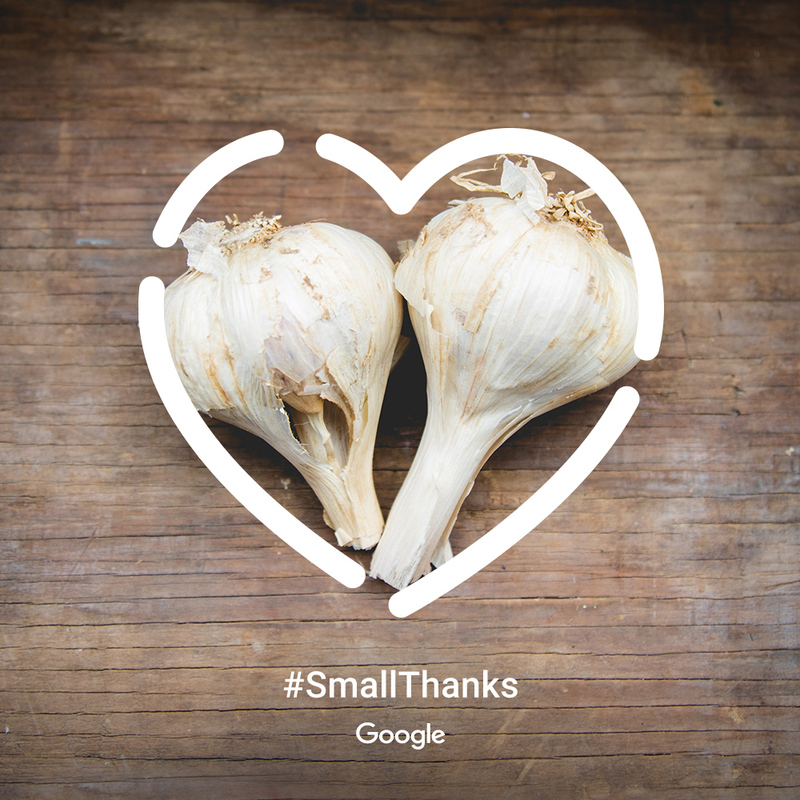 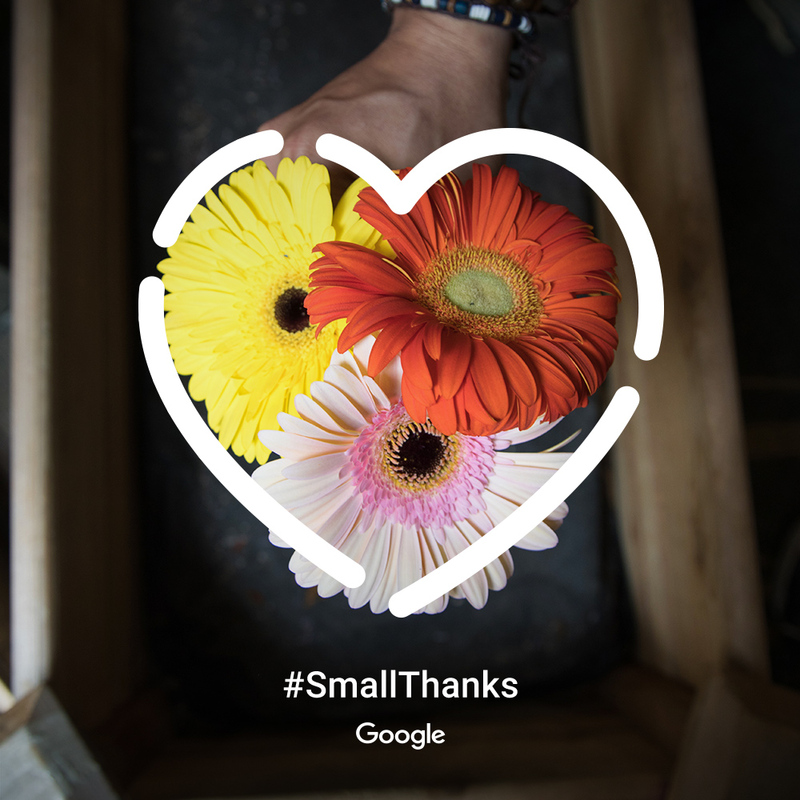 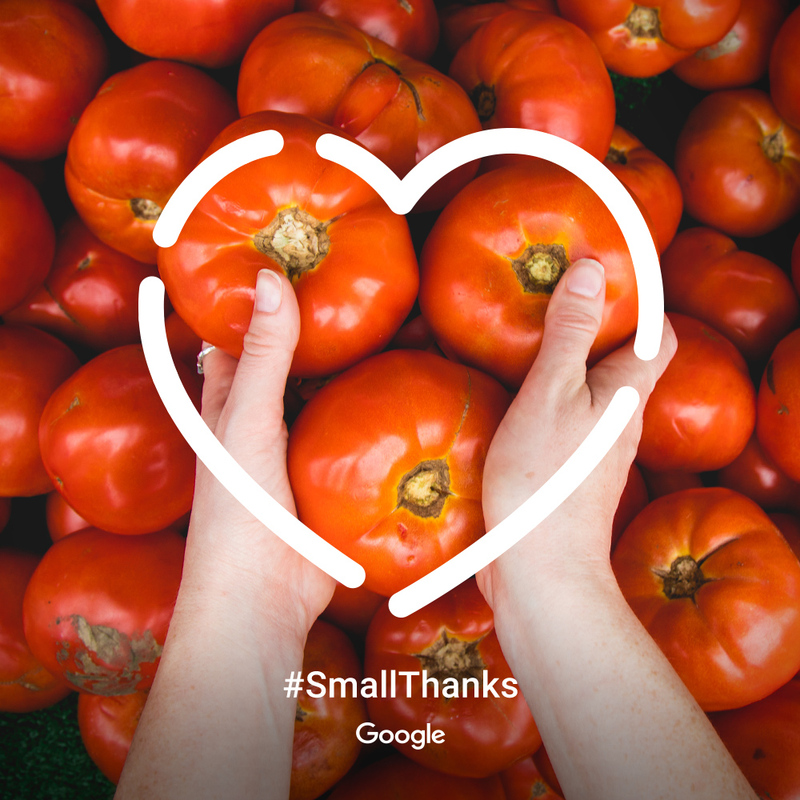 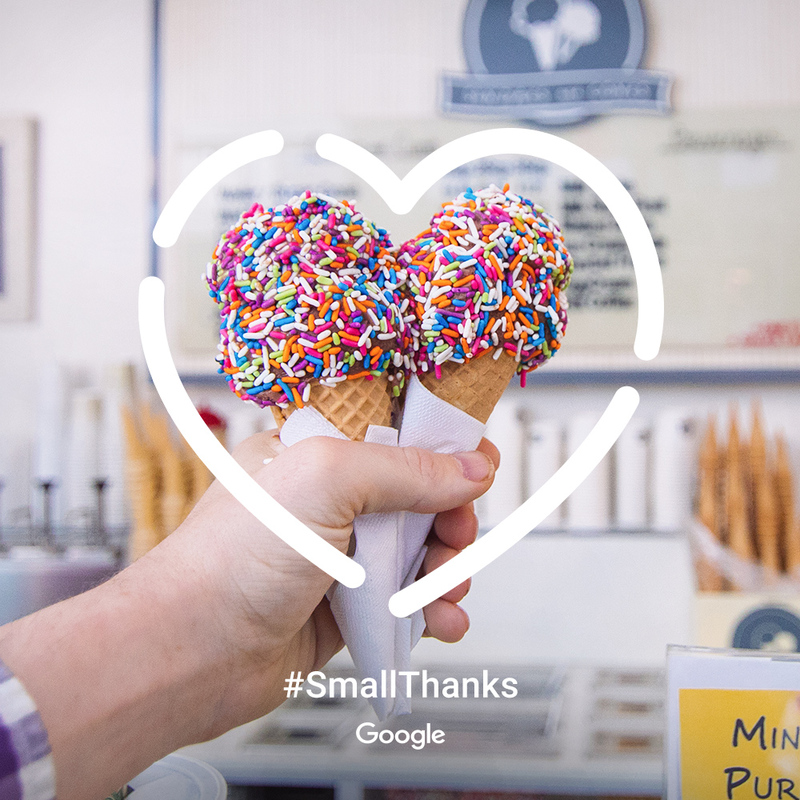 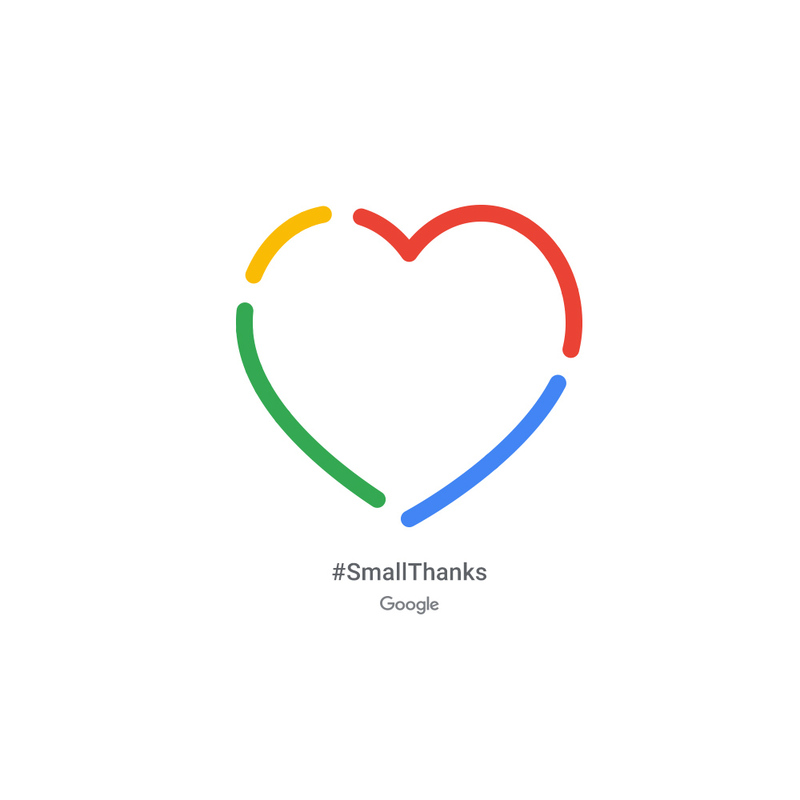 #SmallThanks, a nationwide campaign by Google Small Business to get customers to show love and gratitude for the SMBs they love and rely on every day. 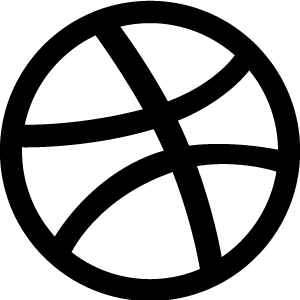 The Heart construct became the consistent symbol across all activations of the campaign. 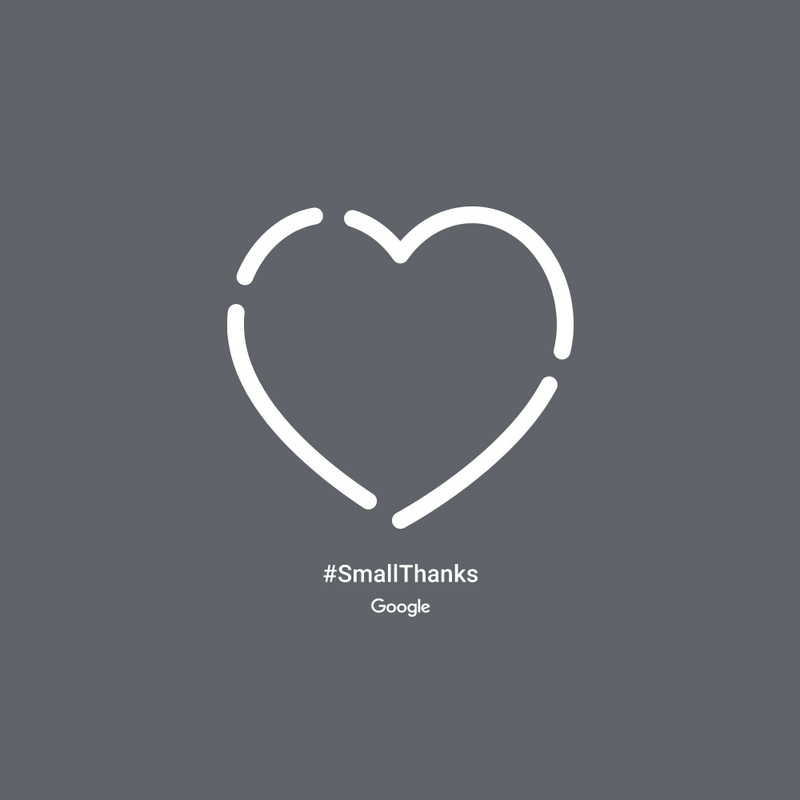 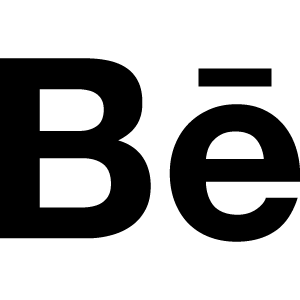 Combined with the #SmallThanks hashtag and Google logo. 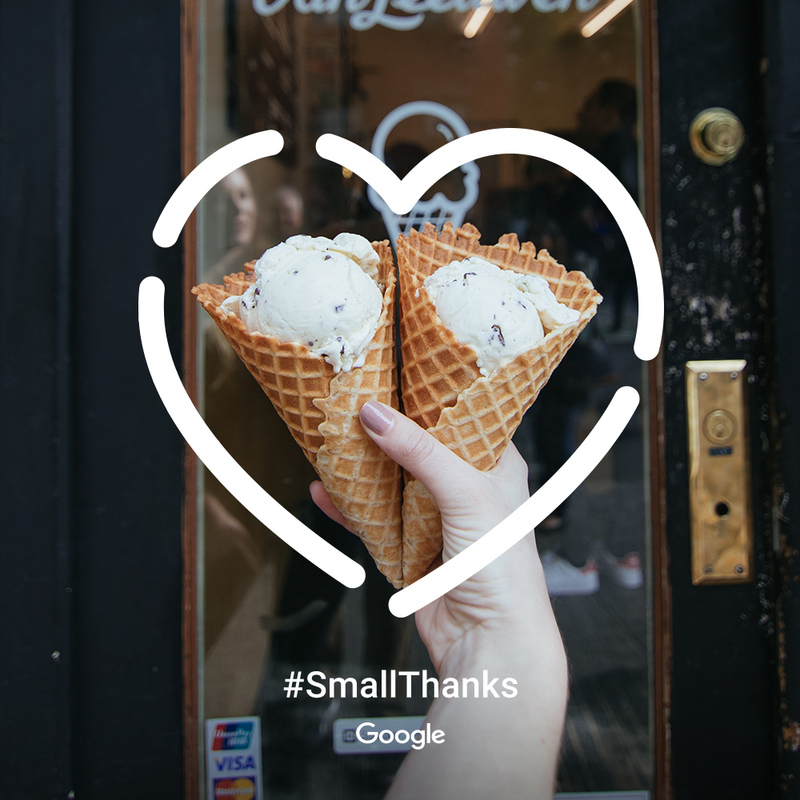 A visual lockup to show love to the small local businesses. 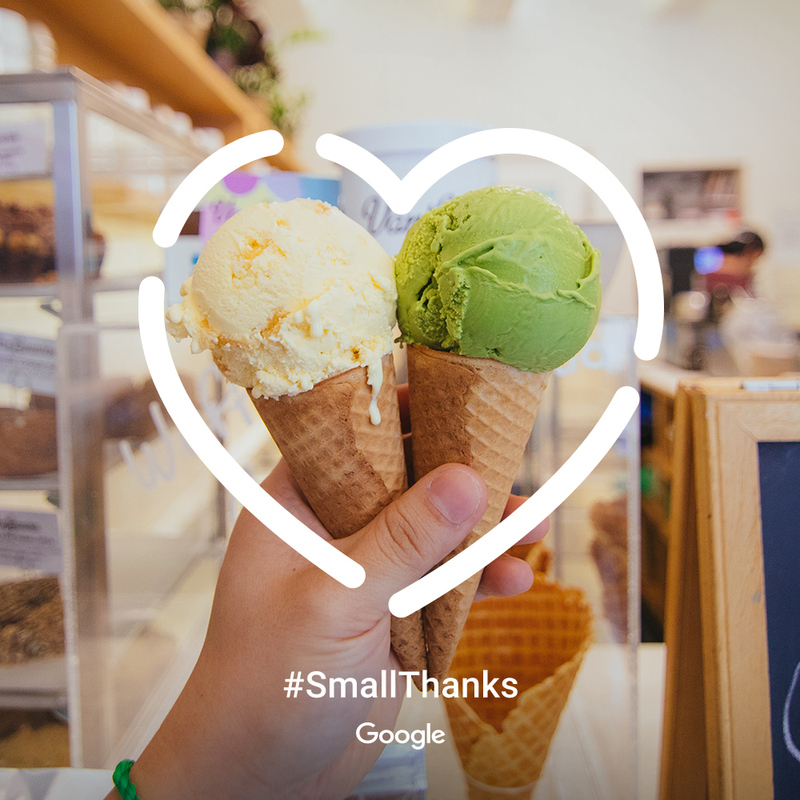 One of the main social activities was to get customers to show love for their favorite local businesses by sharing a photo of the products while also creating a shape that resembles a heart, hashtagging #SmallThanks. 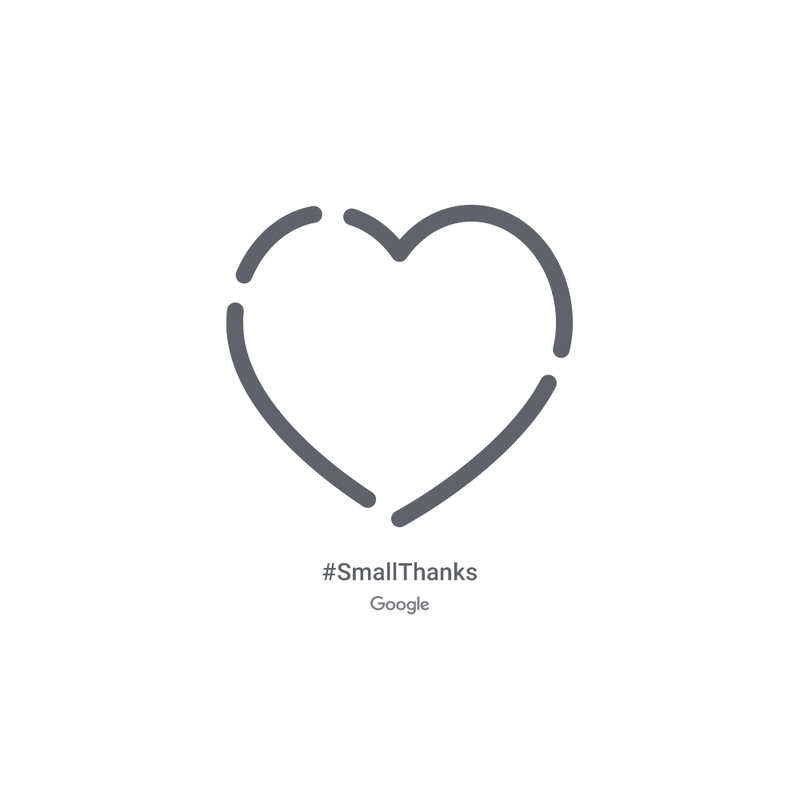 Here are a few of the executions that were used to promote the campaign. 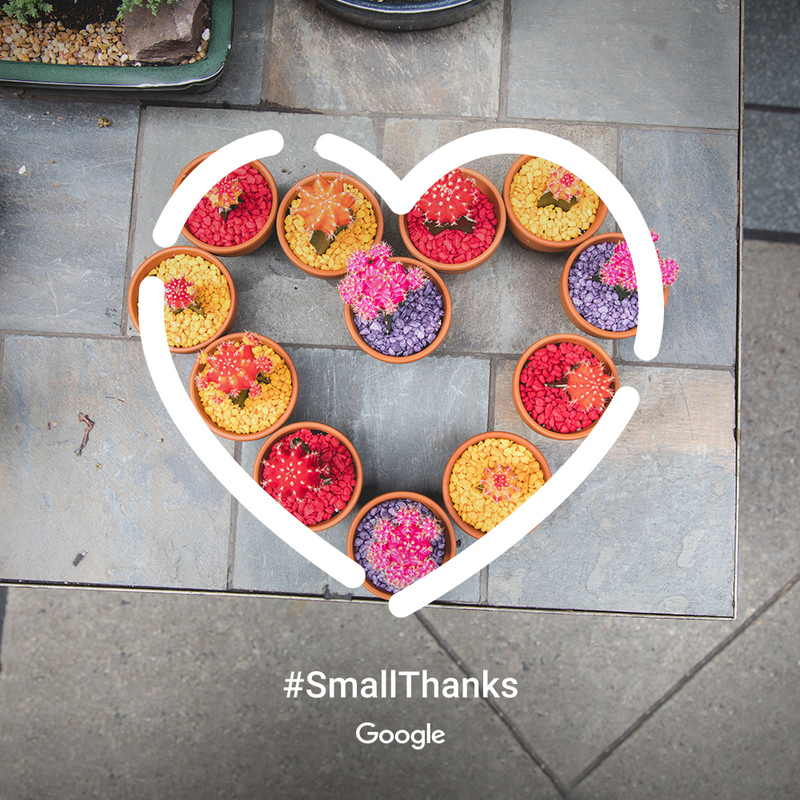 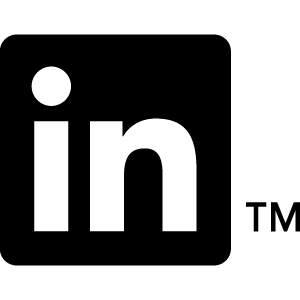 They were pushed out on Google's channel to encourage user's to create their own UGC content. 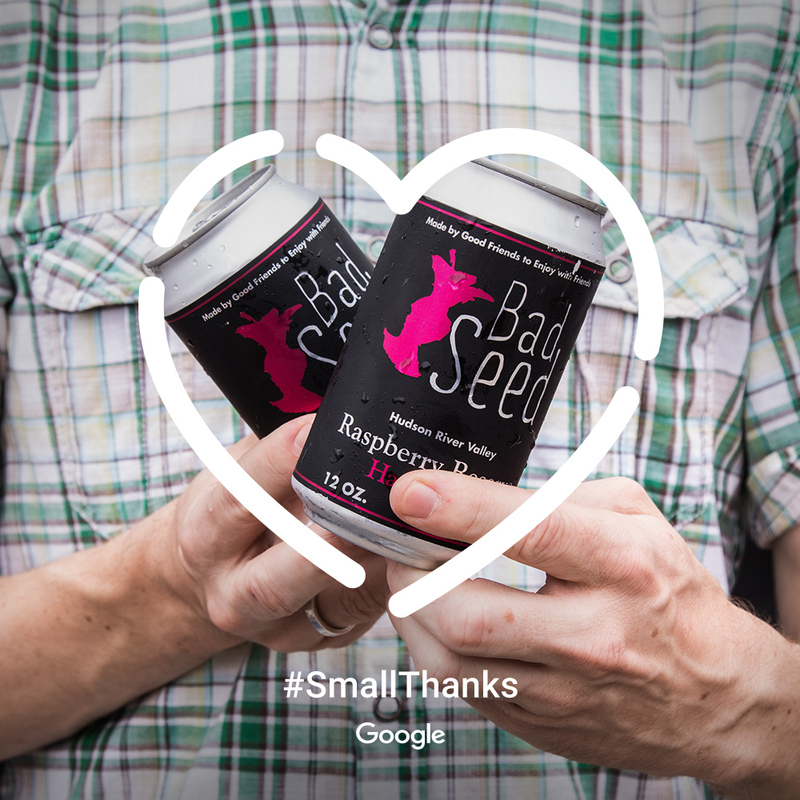 The campaign went on for several months - each week highlighting a different type of small business. 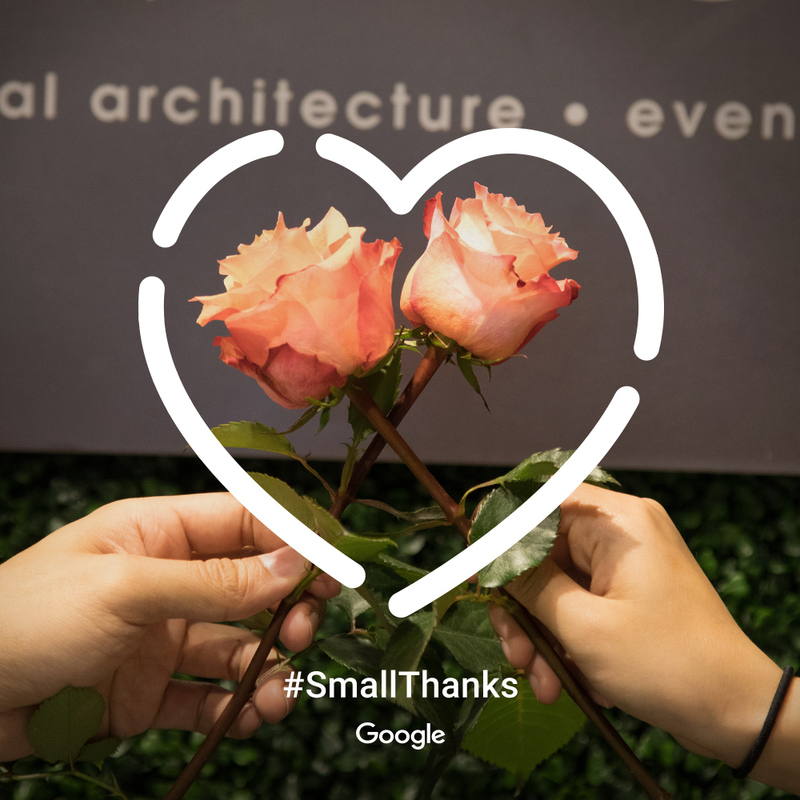 Promotional material created to help create buzz at #SmallThanks events around the country that featured small businesses.